When refugees from Belgian began arriving in Britain during the First World War, some British women prepared to help the youngest amongst them. From the opening days of the Great War in August 1914, the Belgians were able to claim the unenviable status of the first mass civilian casualties and dislocated people of the war on the Western Front. The Belgian government had refused the German military free passage through their country, so the Germans simply walked in, advancing belligerently through Belgium sacking towns and villages as they went. Thousands of people from cities and villages packed up their belongings and fled. Some headed straight to neighbouring Holland, a neutral country throughout the war, where they remained until hostilities were over; others crossed the Channel to Britain entering our country through the South Coast ports with many heading straight to London in search of assistance. Established in 1892, the brainchild of forward-thinking primary teacher Mrs Emily Ward, the Norland Institute in London was the first nanny training college to open in the UK. By 1914, Mrs Ward’s highly trained children’s nurses were already running the nurseries of many of the royal houses of Europe. From the imperial court in St Petersburg via Germany to Greece, Norlanders were raising royal offspring in a thoroughly British manner. They were considered the crème-de-la-crème of children’s nurses and had earned their place in the royal courts through hard work and the kind of mettle expected of an Edwardian young lady. Behind the carapace of their starched uniforms, they were a force to be reckoned with, many having already escaped from Europe travelling long distances and experiencing numerous scrapes to return home to London and the home-counties. Once home, their next experience of the war was the influx of refugees. 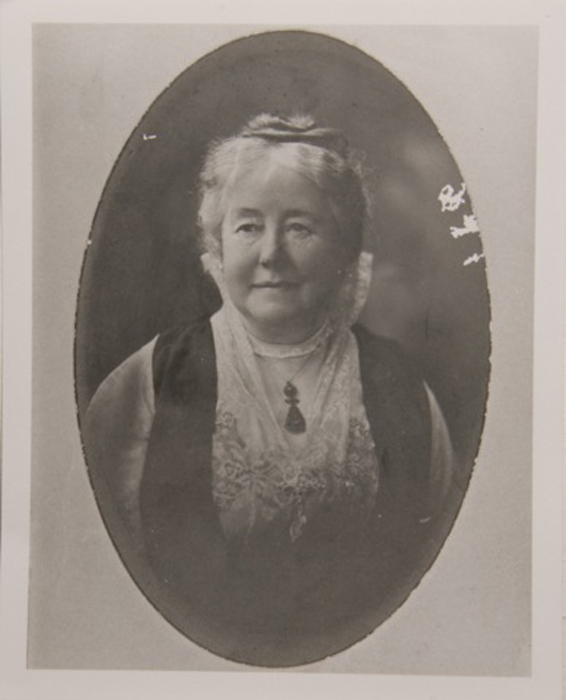 Being part of the caring professions, coming to their assistance was the perfect opportunity for Norland nurses to do their bit for the war effort, and Norland’s founder, Mrs Emily Ward, initiated the Institute’s relief work by opening the doors to her private home on the South Coast. Mrs Ward and her husband had recently bought Little Hallands, an important mansion set in the midst of a large estate ten miles outside Lewes, near Brighton. Mrs Ward was obviously enthralled with her new purchase and wrote to the Institute describing her rural idyll with chickens, little black pigs and a pair of nanny goats. 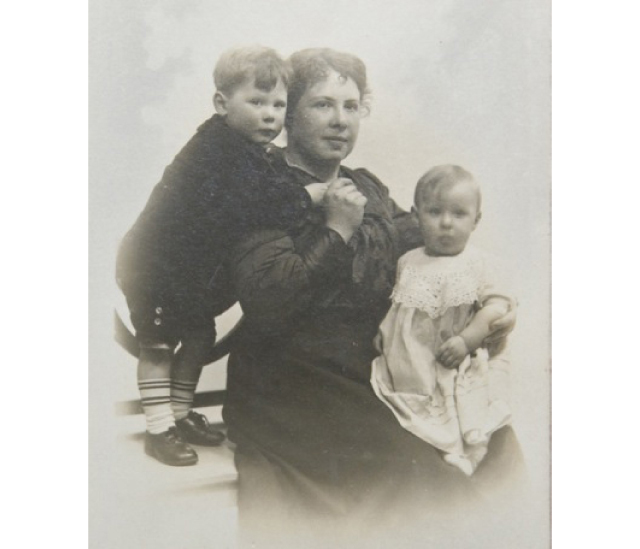 However, the news of German atrocities and the plight of Belgian children overwhelmed Mrs Ward, who realised she was in a privileged position to take practical steps to help. Hurriedly set up in early August by a handful of titled and well-connected ladies, the War Refugees Committee had established its headquarters at Aldwych in London from where the charities distributed clothes and food as well as refugees to homes willing to take them. The Wards’ first request for refugees was turned down by the Committee so they approached the Belgian Consul, who immediately identified nineteen refugees newly arrived and in urgent need of shelter. He despatched the small party by train to Little Hallands where they arrived the same day. It was 3rd September and this group had come straight from the war zone in Malines. Situated on the road south of Antwerp, a key German target, the burgers of Malines had waited for the shells to land and the Germans to arrive. When it came, the bombardment of their town would begin without the customary military warning given to local civilians to evacuate. Mrs Ward’s group of Belgians were still in shock and carried few personal possessions having escaped the horror only eight days before. They were all from the same town and most of them were related. Three cars and a grocer’s cart carried them and their belongings to the Wards’ farmhouse. The refugees spoke French and Flemish, and Mrs Ward spoke neither. Unable to communicate with them, all Mrs Ward could do on the first night was supply a supper of milk, coffee, bread and cheese, and that perennial Edwardian staple comfort food – jam. To make them feel more at home, the Wards had ‘thoughtfully provided tobacco for the men and sewing materials for the women’. Of this first group of refugees, three were diamond cutters, another a brass-worker, along with four carpenters and cabinet-makers. There was little call for most of these skills in Lewes, but Mr Ward found everyone work either on the Wards’ Little Hallands estate repairing fences and animal houses with the diamond cutters feeding the pigs, or in town doing odd-jobs. 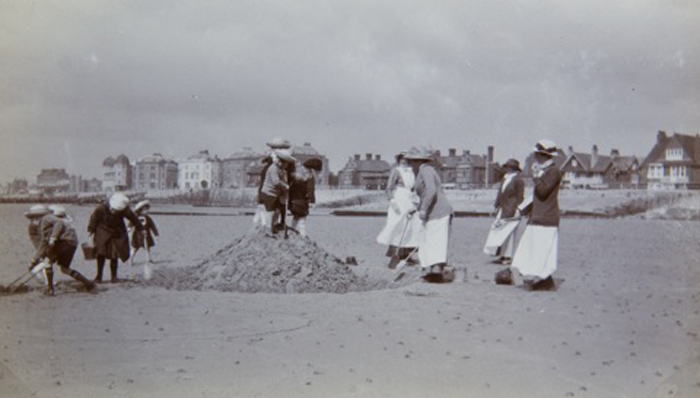 With many local young women taking up munitions work, Mrs Ward was overwhelmed with applications for the Belgian women to go out to work as domestic servants. Many were wives of well-positioned men and this was their first foray into paid employment. It was not the remedy Mrs Ward had hoped for. Over the next few days, all the children succumbed. However, they all survived. At a time when scarlet fever killed one in twenty and there was no known cure, Mrs Ward’s Belgians had proved sturdier than expected. The refugees had arrived in England in their best clothes with spares wrapped in bundles, but they did not wear well and Winter was looming. Mrs Ward organised a clothes collection from the neighbourhood as well as receiving items from the relief committees set up in London. During one of her visits to the capital, Mrs Ward accompanied the principal, Miss Sharman, to a relief committee collection centre in Warwick Square where Mrs Ward was able to ask for ‘a coat for a short fat man’ and ‘a petticoat for a child of six’, both of which were immediately offered. She was concerned how readily the Belgian ladies would become accustomed to the British fashion for narrow skirts when they had been used to wearing wider skirts, but it was a small worry amongst everything else. There were cultural differences in the kitchen too. The Belgians did not like English tea and after raiding the larder and drinking milk intended for the babies, a supply of cocoa was bought to prevent further shortages. Towards the end of their first month in England, the Belgians’ wider relations arrived in London hoping to join Mrs Ward’s first batch of refugees, but the Government had recently passed a new regulation forbidding Belgians from residing on the coast. Mrs Ward appealed to the local chief constable. Her forceful but charming character won her part of her argument: she was allowed to keep her Belgians, but sadly not allowed to welcome their relations. 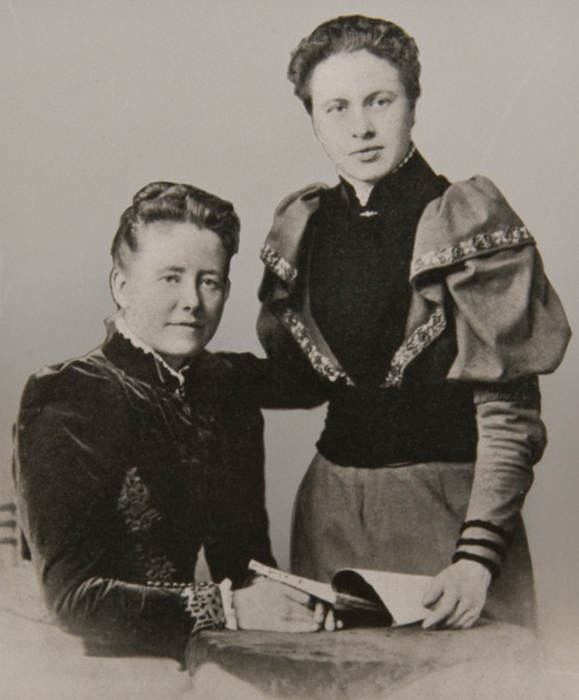 In late September, news arrived of the destruction of Malines and Mrs Ward’s refugees realised they would remain in Lewes for the duration of the war. Hers was one of hundreds of small gestures of hospitality shown to Belgians by Britons and supported by Prime Minister Herbert Asquith’s statement that ‘they may count on our whole-hearted and unfailing support to the end’. By the time of the Armistice in November 1918, over a quarter of a million Belgians had sought refuge in Britain.